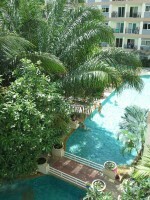 View Talay 1B - Nice large 1 bedroom condo in a great location in Jomtien. Close to the beach and many local amenities. Comes fully furnished with spacious living room, LCD TV, European kitchen and 2 balconies offering sea views. 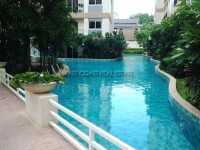 The condo has a 24-hour security, CCTV & large communal pool. Also available for sale with title deed held under Foreign name and transfer fees split 50/50.